Just give Shamrock Plumbing a call. 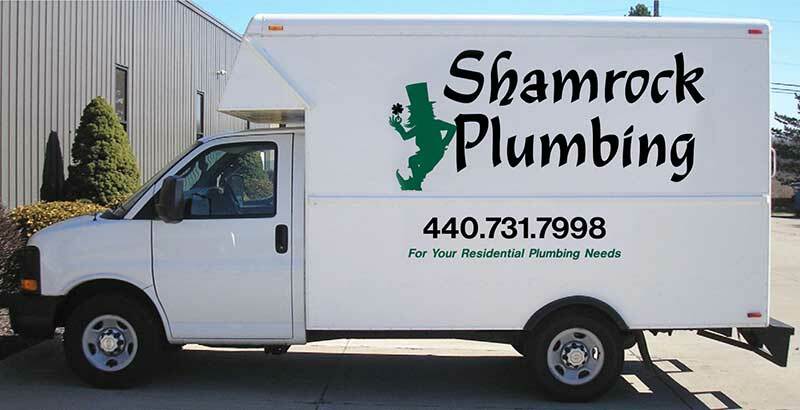 When you need a skilled and dependable plumber in Northeast Ohio, choose Shamrock Plumbing for outstanding results at an affordable price. We specialize in residential plumbing services, including water heaters and sump pumps, and can even provide same day service and emergency repairs. Whenever possible we try to repair rather than replace your existing plumbing and fixtures. We don’t believe in suggesting unnecessary new products, we prefer to save our customers the additional expense by repairing whenever possible. Our featured products include American Standard, Moen, Emecole Metro and Lochinvar. Bill is amazing. After suffering from water backup that did extensive basement damage, Bill put us on the right path with a high-end, redundant pump and redundant battery solution to guard against future water damage. Bill is professional without being pushy. He knowledgeably walks through possible solutions, expresses his opinion, and let's you choose accordingly. He installed quickly and thoroughly. I feel confident recommending Bill from Shamrock Plumbing for any of your plumbing needs or nightmares. ~ Scott M.
These are just some of the services Shamrock Plumbing provides in Northeast Ohio.